SUNFRESH is an established fruit juice manufacturer, producing for institutional and retail clients throughout the Asia Pacific region and beyond. We serve our premium fruit juices to clients in the airline, hotel, catering and restaurant sectors. 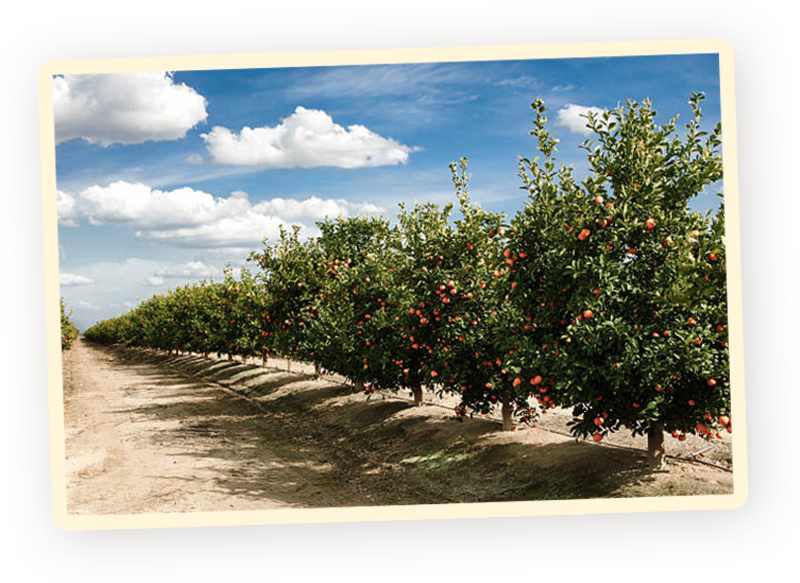 Since it entered into the fruit juice business in 1982, SUNFRESH has increased its processing capacity many fold. This has been achieved by catering to changing customer trends, and their preferences for premium fruit juice. From our production facilities, we manufacturer a broad range of fruit juices from freshly squeezed to blended fruit juices. SUNFRESH’s success in the fruit juice business is largely due to our competence and excellence production management. This begins with the sourcing of premium raw materials to the processing and distribution of the final product. The Singapore Packaging Agreement (SPA) is a joint initiative by government, industry and NGOs to reduce packaging waste, which constitutes about one-third by weight of Singapore’s domestic waste. NEA launched the first SPA in 2007 to reduce packaging waste and SUNFRESH signed the 1st agreement on 5 June 2007, World Environment Day. We are the only one SME who has been awarded by them since then. As of 2017, SUNFRESH won the 10th Anniversary Special Achievement Award in recognition of outstanding achievements in packaging waste reduction, reuse and/or recycling between 2007 and 2017. The trend to reduce packaging waste is getting more popular not only in Singapore but also worldwide. 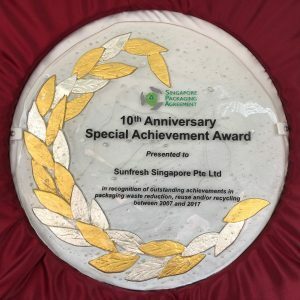 For SUNFRESH, receiving the 10th Anniversary Special Achievement Award by Singapore Packaging Agreement (SPA) shows that SUNFRESH have been working hard on the environmentally friendly action.